WCRE is proud to have successfully represented Alan James, Inc in the exclusive leasing and marketing of this approximately 146,300 square foot modern one story industrial building located at 9 Schultz Drive, Delano, PA to UFP Gordon, Highwood USA, and Hollander Sleep Products. • UFP Gordon, a leading supplier of trusses used in manufactured housing, residential and commercial construction leased 80,000 square feet. 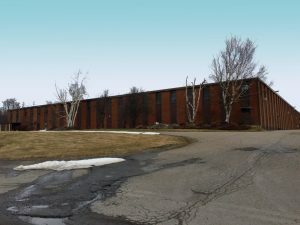 • Highwood USA, a leading manufacturer of an eco friendly synthetic wood used in architectural trim, furniture, fencing, lumber, and other outdoor applications leased 30,000 square feet. • Hollander Sleep Products , a private label manufacturer of coordinated collections of comforters, pillows, bed linens and mattresses leased 20,000 square feet. 9 Schultz Drive is situated on approximately 9.5 acres and the property is located directly off I-81 and within ten miles south of Hazleton, Pennsylvania. WCRE is proud to announce that the building is 100% leased with the signing of these 3 leases. Lee Fein, Senior Vice President at WCRE represented both the Landlord and Tenant in this transaction.